Today we'll add warm transfer to a PHP and Laravel application so we can engender warm feelings among customers talking to support. This should be the public-facing URL for your app in production. Great work! Webhook in place, we're ready to start looking at the code. To allow incoming connections through the web client an identifier must be provided when generating the token. Next we'll look at handling incoming calls. For this tutorial we used fixed identifier strings like agent1 and agent2 but you can use any unique string for your call center clients. These identifiers will be used to create outbound calls to the specified agent through the Twilio REST API. When a client makes a call to our Twilio number ,the application receives a POST request asking for instructions. 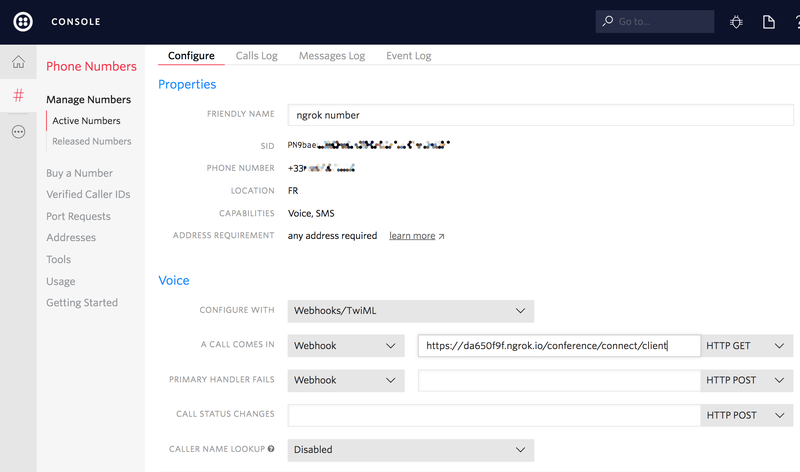 We use TwiML to instruct the client to join a conference room and use the Twilio REST API client to invite (and start a call with) the first agent. When providing instructions to the client, we also provide a waitUrl. This URL is another end point of our application and will return more TwiML to SAY welcome to the user and also PLAY some music while on hold. Next let's look at the TwiML response of our application. Next let's see how to dial the first agent into the call. Once the agent answers the call in the web client, a request is made to the callback URL instructing this call to join the conference where the client is already waiting. Let's look at bringing agent #2 into the call next. When the client and the first agent are both in the call we are ready to perform a warm transfer to a second agent. The first agent makes a request passing its agentId. We look for the conferenceId needed so we can connect the second agent. Since we already have a createCall method, we can simply use that to invite the second agent. Coming up next: letting the first agent leave the support call so the second can take over. When the three participants have joined the same call, the first agent has served his or her purpose. Now agent #1 can drop the call, leaving agent #2 and the client to discuss the weather and important matters of support. And that's a wrap! Thank you for helping us add warm transfers so our support staff can tag in other agents for help. Next we'll look at some other awesome features Twilio makes easy to add. Cut down on the no-shows by implementing automatic appointment reminders for your clients.